Crowning the tip of Mexico’s Yucatan peninsula and lined with palm-fringed white sand beaches, the charming town of Progreso is a popular stop for cruise ships. Life moves slowly in this laid-back piece of paradise, but there are still many fun and adventurous activities for you to get involved in including ancient Mayan ruins, underground caves, traditional fiestas and of course, the beach. 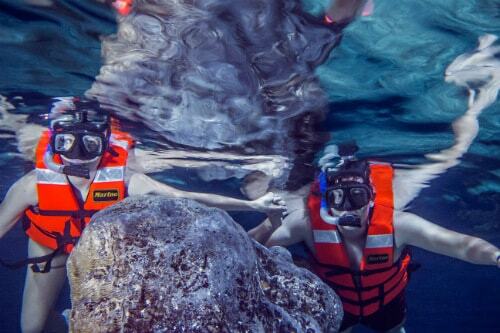 Let’s explore the top things to do during your stop at the tropical cruise destination of Progreso, Mexico. The Yucatan peninsula is home to several important ancient Mayan ruins, including the massive pyramid and temples of Chichen Itza. The VIP Chichen Itza & Cenote Ikkil with Lunch is an all day (7-hour) guided tour that takes you on an in-depth exploration of this fascinating pre-Columbian city including the crystal clear waters of an underground pool, where you can swim and refresh yourself after walking around Chichen Itza. An action-packed combo that fits as much into one excursion as possible, the Jaguar Safari Bus, Bike, Paddle Board & Beach BBQ gives you a bit of everything in just 6 hours. First, take a “Jaguar Bus” to the jungle where you will be able to jump on a tandem bike and ride through salt marshes, observing birds and wildlife along the way. Then go explore the Xcambo ruins before hitting the beach where a shorefront BBQ will be waiting for you to dig right in. 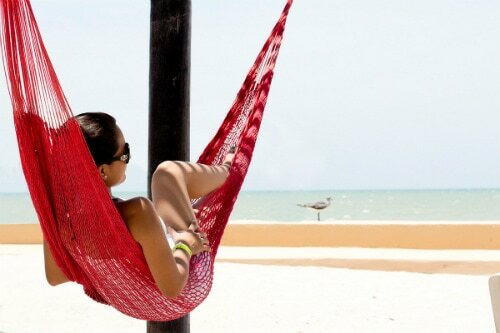 Just want to relax in Progreso? No problem. Hang up your beachside hammock and laze the day away with the All Inclusive Beach Resort Getaway shore excursion. 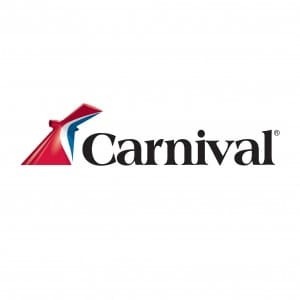 This relaxing excursion is a great way to enjoy Progreso and gives you all the tools you need to enjoy your cruise vacation to the max, including an open bar, a waterfront pool, beach volleyball courts, and even an all-you-can-eat Mexican buffet. 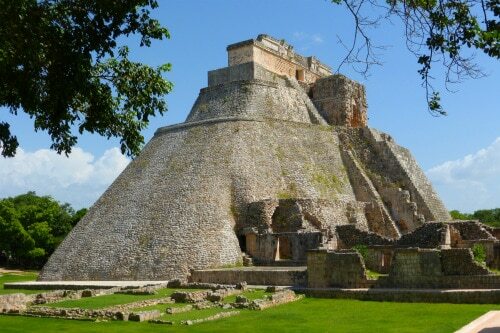 Dive deep into the history and magic of the ancient Mayan culture at Uxmal, a large city complex complete with governmental buildings, pyramids, and ball courts where a soccer-like game was once played. The Uxmal Mayan Ruins shore excursion is a 6-7 hour guided journey through time and an example of what makes Progreso such a unique stop when cruising to Mexico. Ready to set your senses on fire? In the Holy Guacamole, Salsa and Margaritas Beach Cooking shore excursion, you will not only indulge in the best of Mexican flavors but you will come away knowing how to create them in your own home. Located in a private beach house overlooking the turquoise blue sea, this intensive cooking and cocktail making class gives you plenty of time to enjoy the fruits of your education. Progreso is one of our best worldwide cruise destinations for getting deep inside a complex ancient civilization. 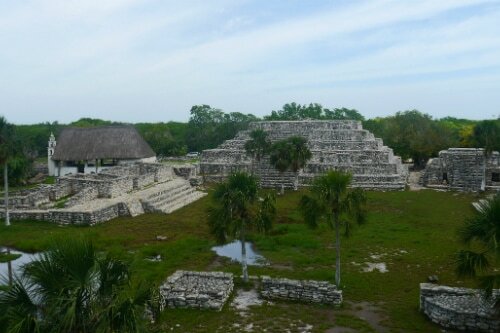 On the Dzibilchaltun Mayan Ruin shore excursion you will spend four hours exploring a ceremonial site where the full astronomical and architectural advances of the Mayans are on full display. Tropical beaches and cold brews are a match made in heaven and on the Mexican Beer Tasting, Pub Crawl & Beach shore excursion, you will get ample fill of both. Start with some craft brew samples from a micro-brewery and a local cantina in the historic city of Merida before trying out the mescal at a cocktail lounge and some quality time on the white sands. 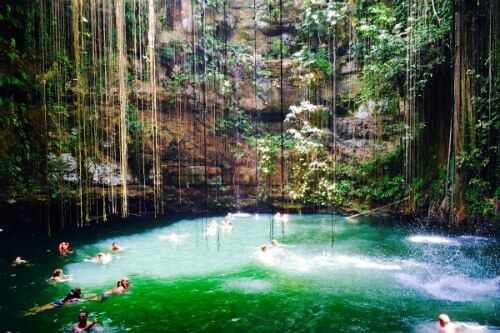 Considered sacred to the Mayans, the underground pools, known as cenotes, offer a refreshing way to spend the tropical afternoon not far from Progreso. The Sacred Cavern Expedition & Snorkel Adventure take you to two different cenotes, where you can don snorkeling gear and explore the underwater world of these crystal clear pools, that form naturally in the limestone shelf that underlies the Yucatan Peninsula. 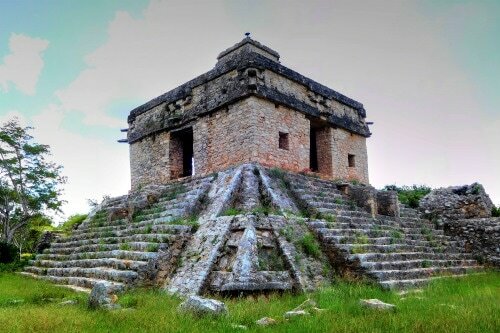 The Mayan civilization is more than just an ancient complex civilization, it is a living culture with millions of inhabitants all over Mexico and Guatemala. On the Discover the Yucatan and the Mayan World shore excursion, you will go on a guided tour to modern Mayan villages like Xcambo and Dzemul, where you can shop for handicrafts and learn about the social structure, before visiting a tropical lagoon and doing some flamingo watching. Just next to the cruise port in Progreso, there is a colorful local market where you can stock up on all sorts of Yucatan specialties. 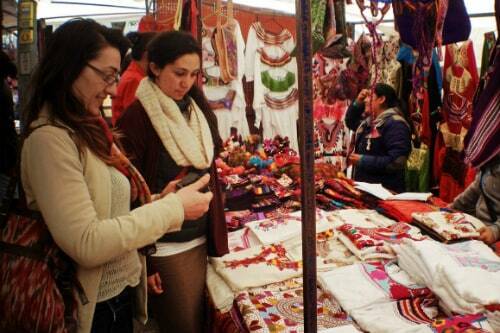 The area is known for its fine quality hammocks, made from cactus fiber, as well as local jewelry of high quality. 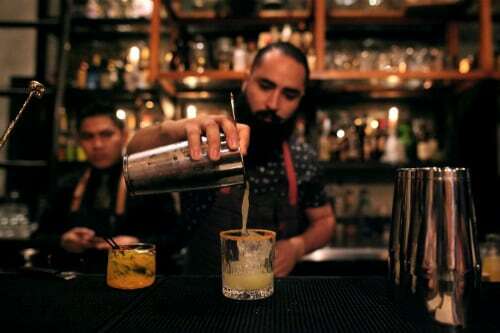 Adventurous spirits might also want to buy a bottle of Xtabentún, a local anise infused liquor that packs quite a punch. The Progreso Pier, where the cruise ship docks, is one of the longest pier in the world at over 6km long. It’s a breathtaking experience to walk towards the end of it and look back at Progreso way off on the horizon while you are surrounded by tropical waters. Make it here for sunset for a particularly spellbinding experience as the sea reflects the rosy colored sky all around you. With both amazing beaches and a close proximity to enchanting ancient Mayan ruins, Progreso is a port of call that should be on everyone’s list of stops. Throw in some amazing Mexican style dining and a bit of fiesta and you have a destination that just can’t be beat.